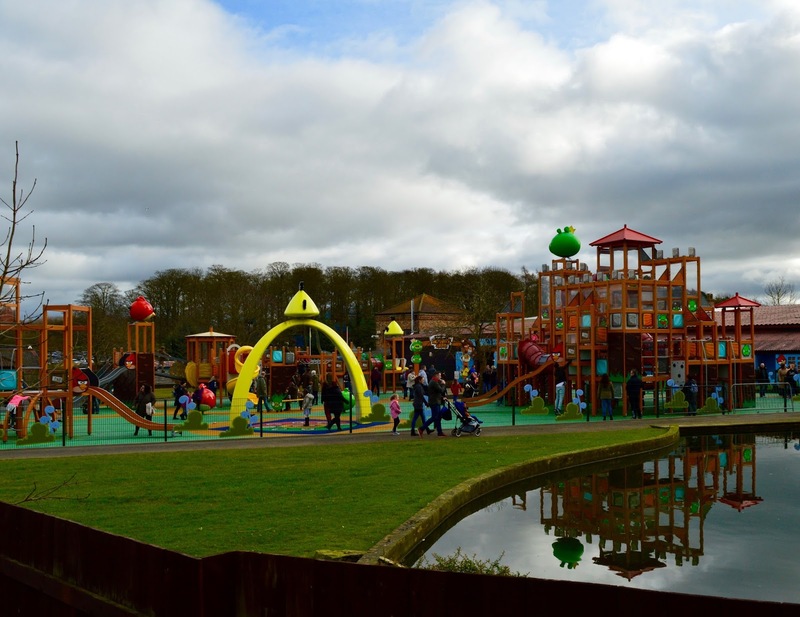 Angry Birds Activity Park forms part of Lightwater Valley Theme Park in North Yorkshire. 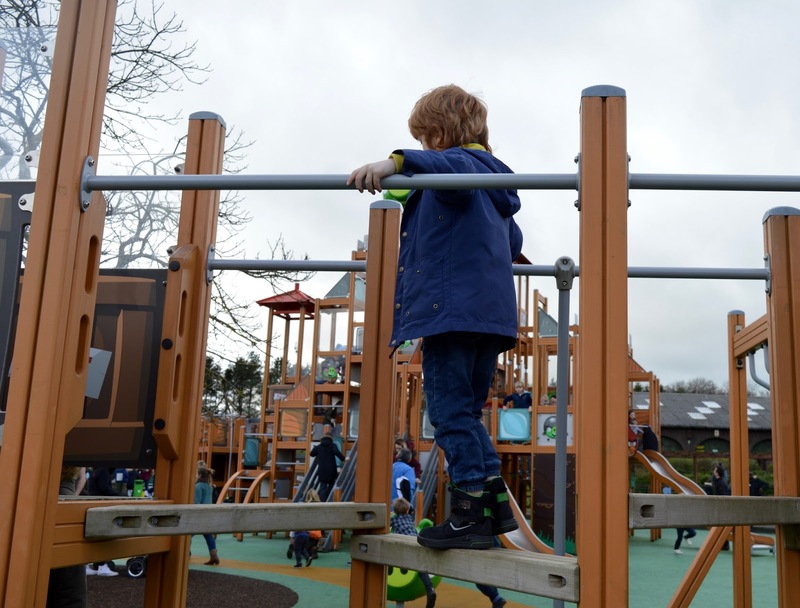 Entry to both the indoor and outdoor activity parks is included with theme park admission. 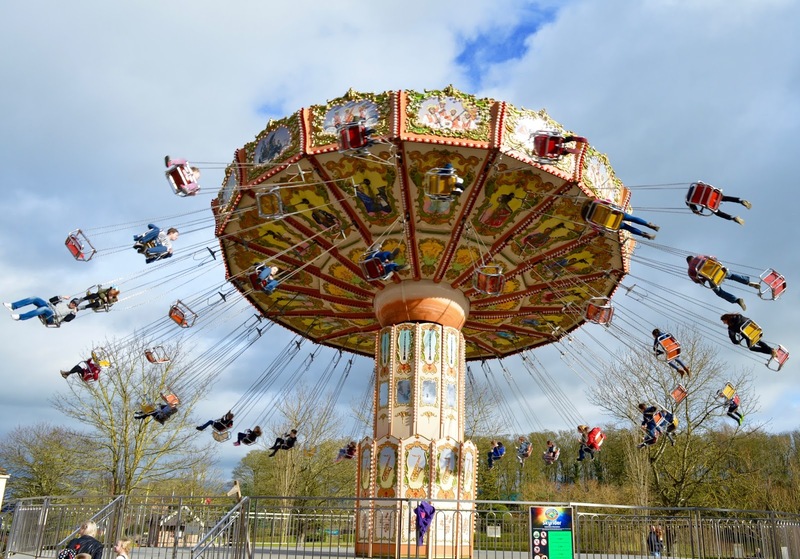 Online tickets to Lightwater Valley can usually be pre-booked for £20 per person (those under 1 metre are £5) and there are often offers and special events where you can pick up discounted tickets. 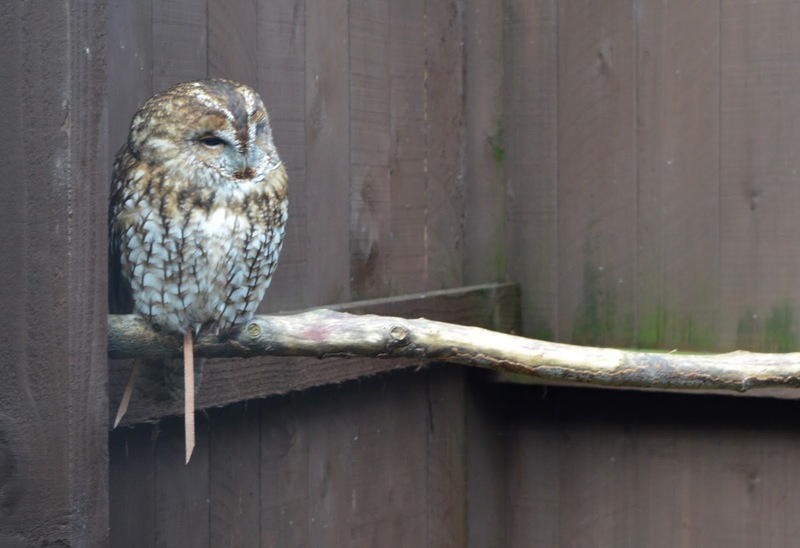 Subscribe to Lightwater Valley's Facebook Events here to keep up to date with new offers. 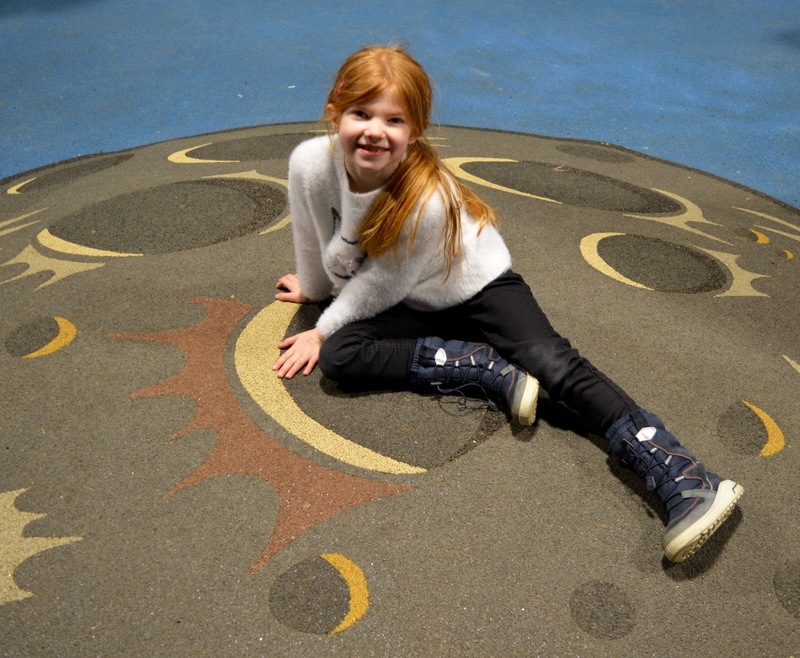 We visited on one such special event when tickets were just £6! WOW! 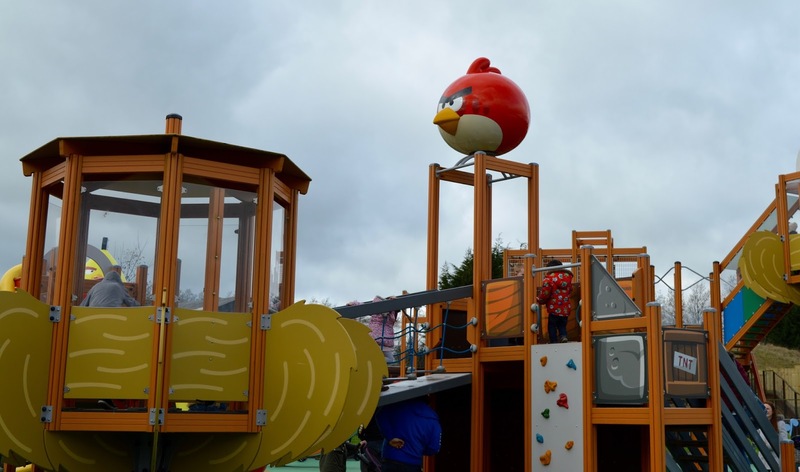 This did reflect reduced opening hours and limited ride opening but to be honest, I'd be happy paying this for the Angry Birds Activity Park alone as it's fantastic. 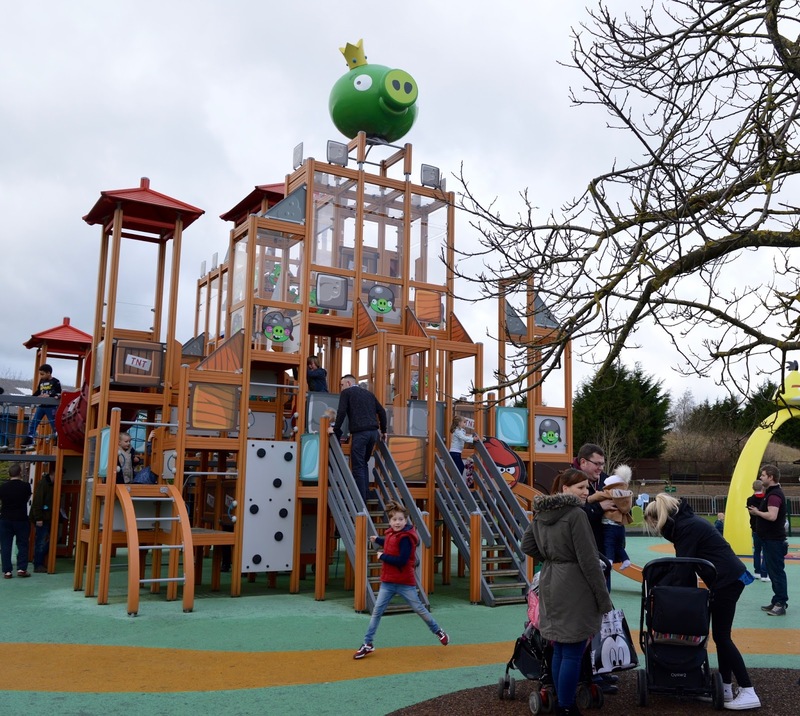 As soon as you enter Lightwater Valley, you'll come face to face with over 30,000 square feet of interactive play - all with an Angry Bird theme! It's honestly incredible. 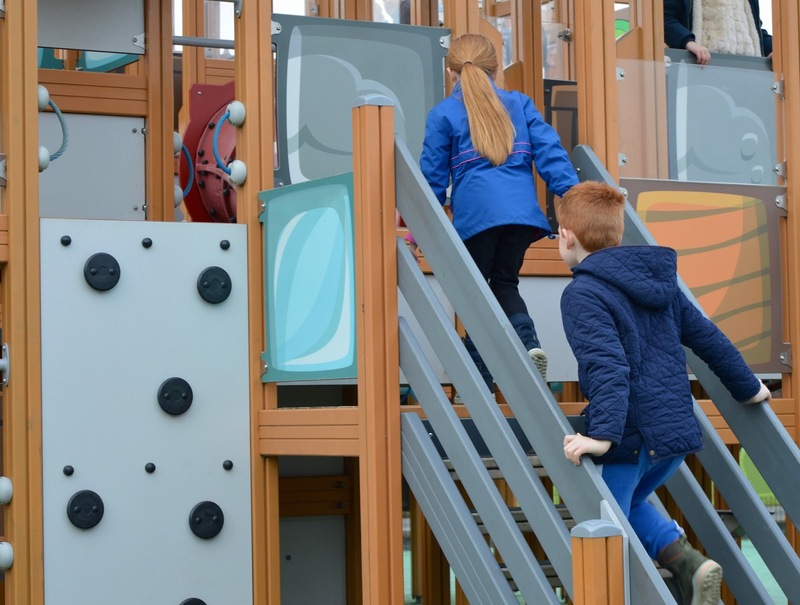 The play area is for children aged 10 and under and under 5's need to be supervised at all times. H, H and J are aged 6, 7 and 10 and will happily run off and play together leaving Steve and I to sit on one of the benches and watch on. 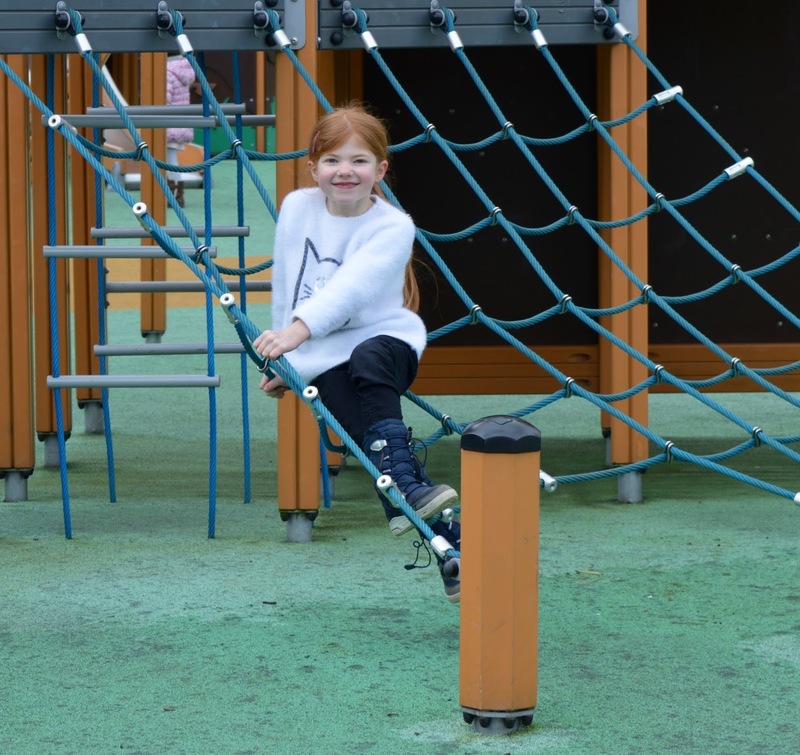 There are three main structures packed with tube slides, climbing nets, steps, ladders and obstacles. 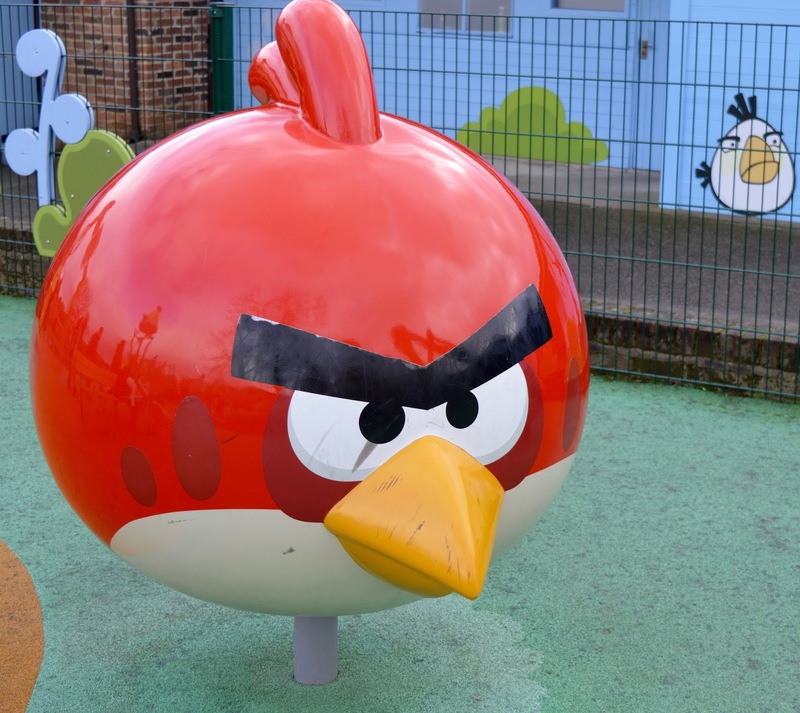 Everything is Angry Bird themed - including the bins! There are interactive parts too - kids can challenge virtual Angry Birds to a dance off and counting games. 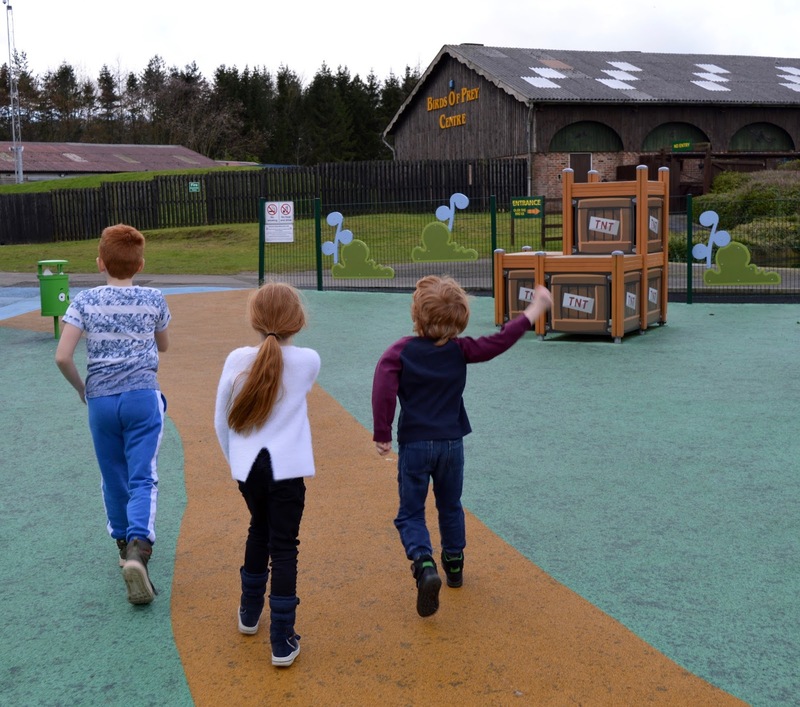 I would go as far as to say that the Angry Birds Activity Park is the best outdoor adventure play area in the North - my three could easily spend a couple of hours in this part of Lightwater Valley alone. 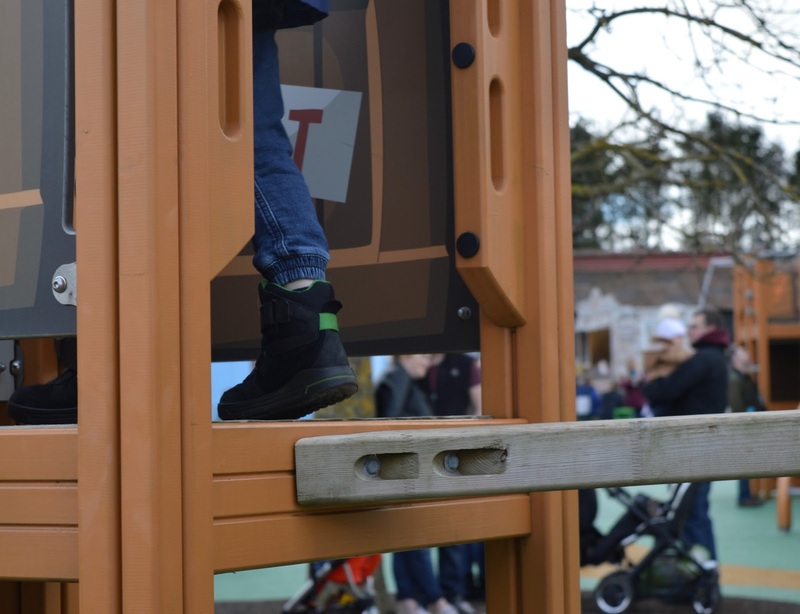 Jack was wearing his GORE-TEX Ecco boots which are perfectly designed for outdoor adventures. 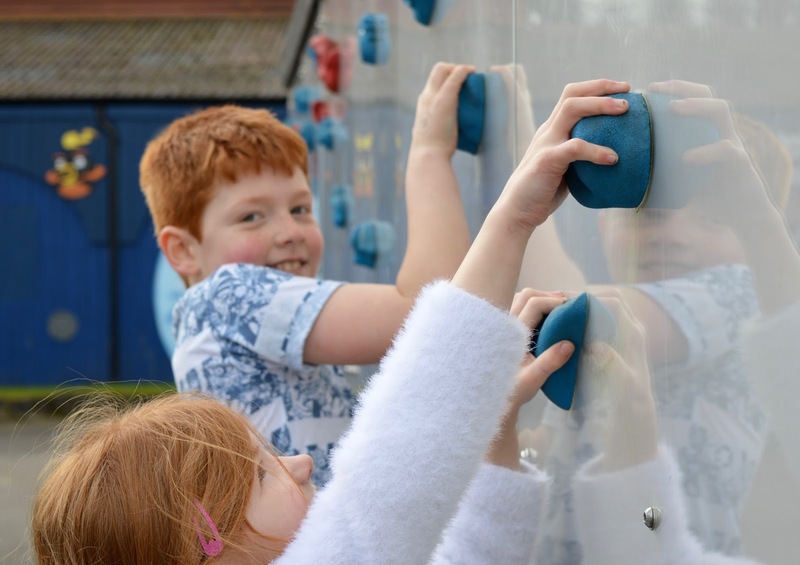 They are super supportive and provide fantastic grip. 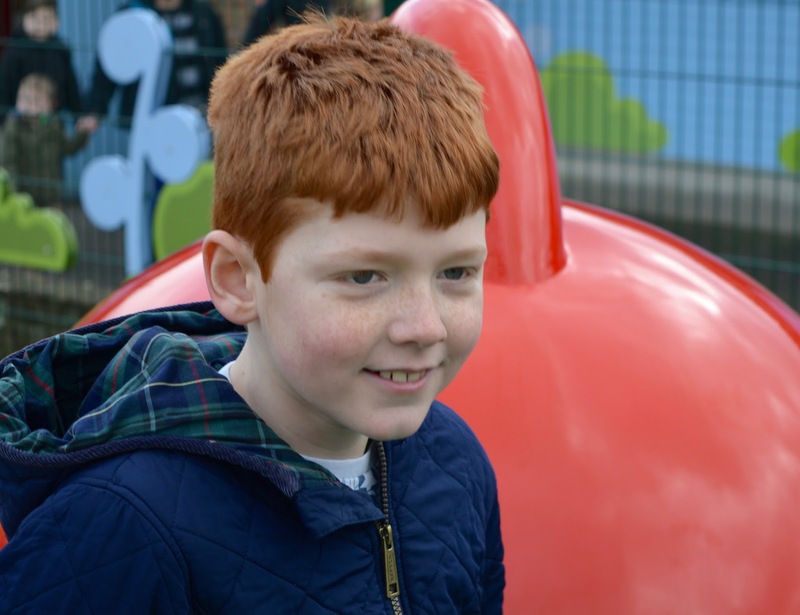 Jack could confidently climb between the larger steps and spent hours running around with no problem. 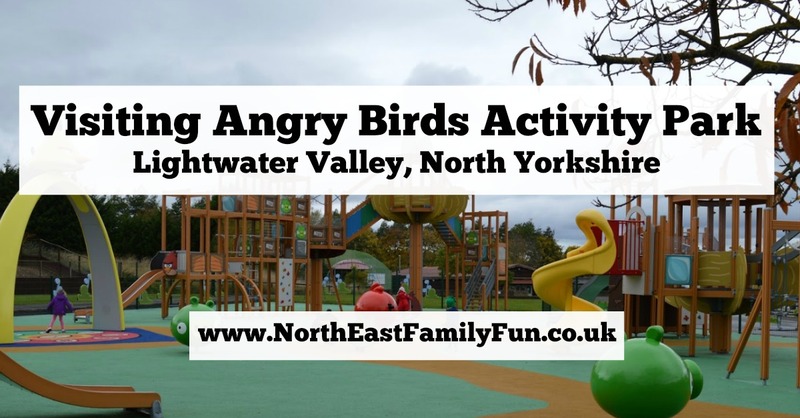 If you live locally, you can hold a special Angry Birds Party at Lightwater Valley (and even push the boat out with exclusive use). You can find out all you need to know here. If we lived closer, I know it would be top of the party list in our house. 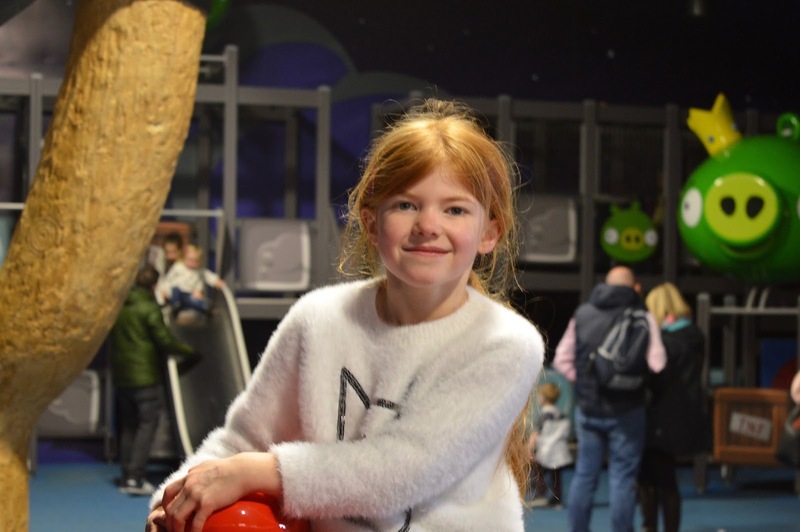 I have to mention the area between the indoor and outdoor Angry Birds Zones - it has been kitted out with Angry Birds games that talk to you and an Angry Birds climbing wall too. We love it. 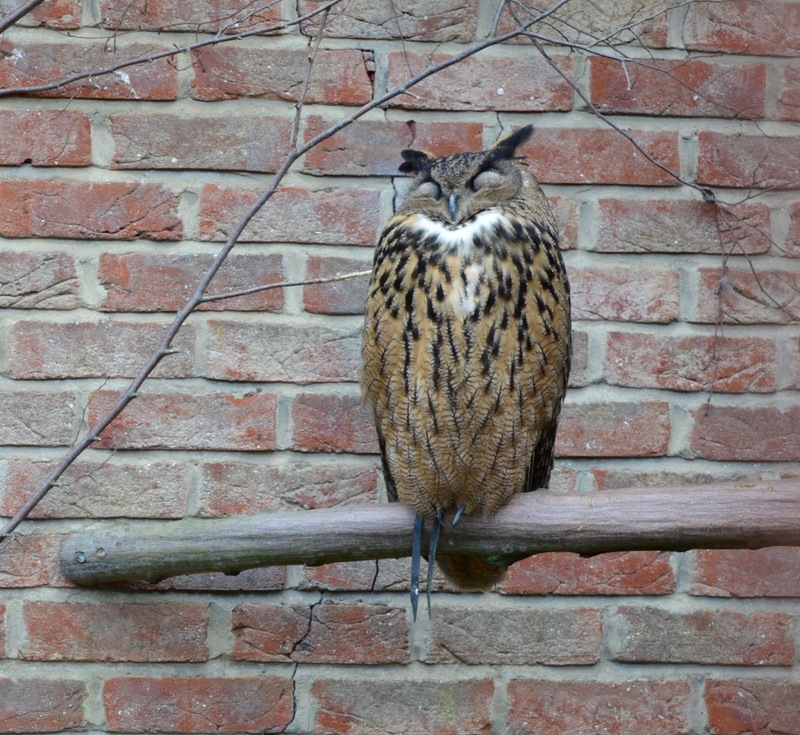 We always love the Bird of Prey centre (included with admission) and if you can we'd recommend checking out a display. 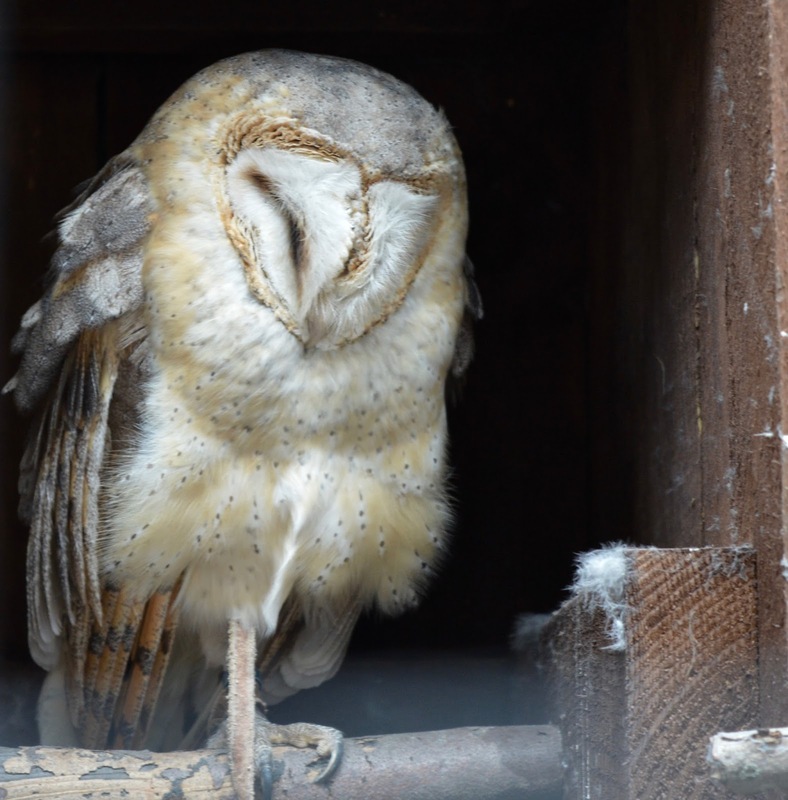 The birds are beautiful and well cared for. There are lots of information signs giving you some fun facts too which the kids love to read out to us. 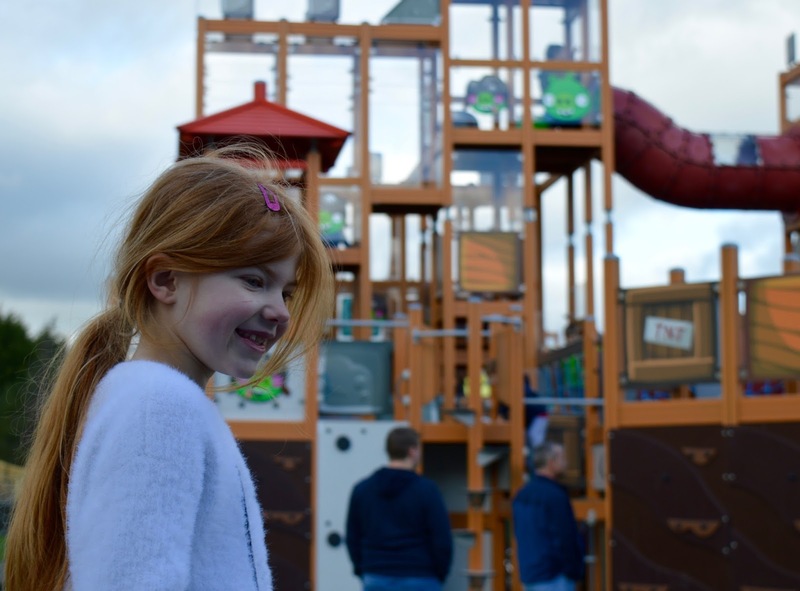 There were limited rides open during February Half Term but more than enough to keep us happy. 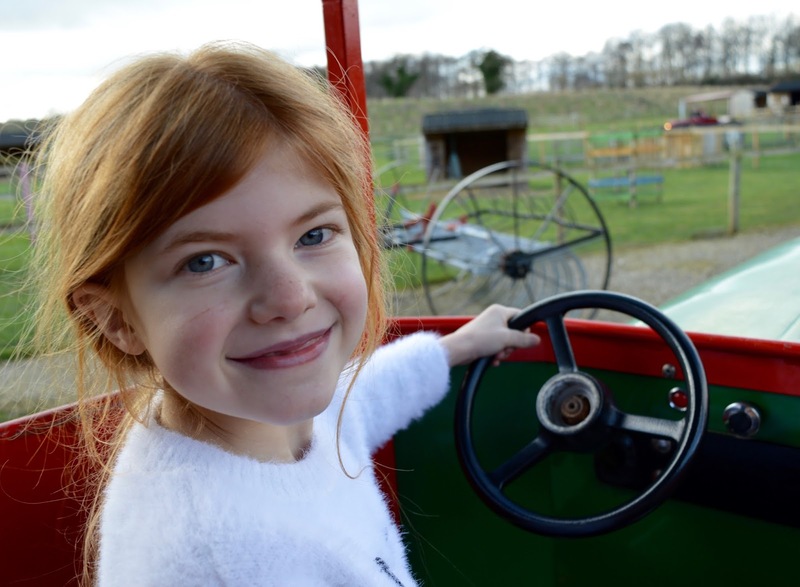 We always love the carousel, swings and a visit to Lightwater Valley just wouldn't be the same without a trip around Eagle Creek farm. 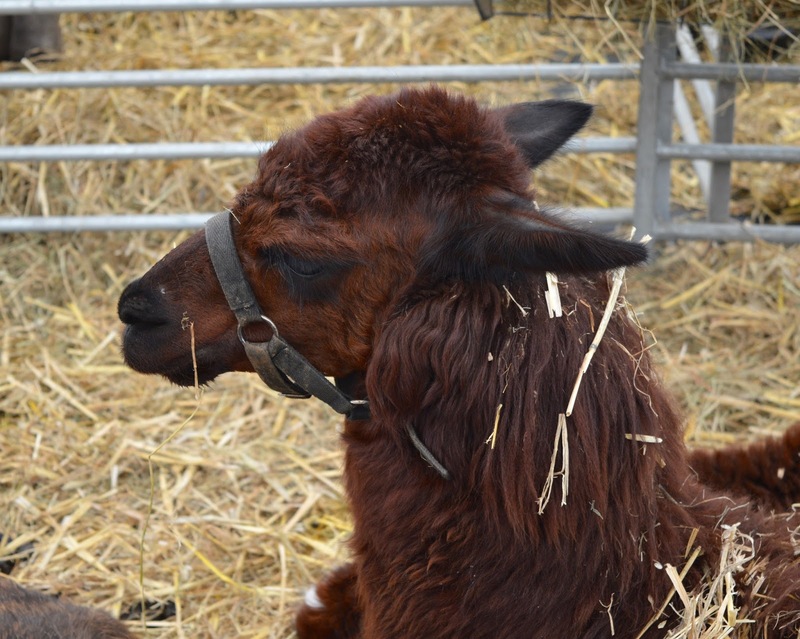 Exclusively for February Half Term, Lightwater Valley was home to a mobile petting farm. We met the cutest ever pig, some lambs, a donkey, pony, alpaca plus rabbits and guinea pigs. There were opportunities to feed the animals and animal handling at various points in the day too. 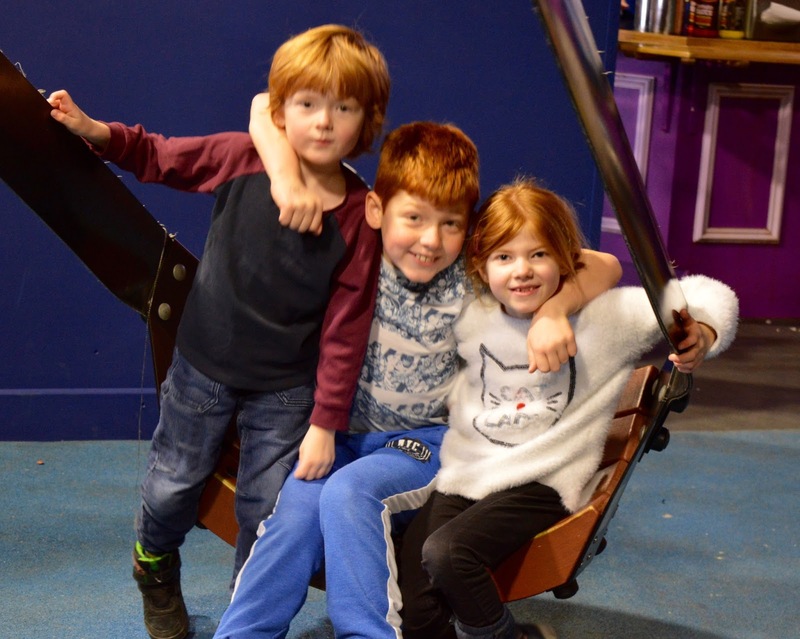 I didn't get a photo (but look out for a video on Thursday) but there was also an indoor soft play area (which I think was also especially for Feb Half Term and not a regular thing). Taking place in a barn, the bouncy castles and obstacle courses were fully staffed with one grown up per bouncy castle clearly enforcing the rules. My three LOVED it in here, especially the brother-sister pillow fight one the pillow fight inflatable! So much fun!! Again, there were drinks and snacks and plenty of seating available in this barn - perfect. There were plenty of places you could eat a picnic but we're not really keen on walking around with bags all day so we bought food from one of the many fast food outlet - £35 for 5 adult meals including drinks which considering this is a theme park, we didn't find a bad price. If your kids can't get enough Angry Birds, there is an Angry Birds gift shop as you exit Lightwater Valley. There are some bargains to be had too! 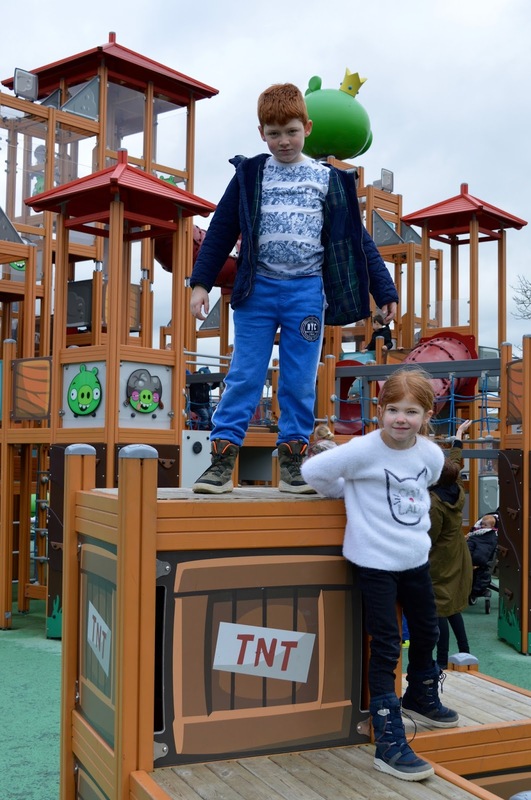 I don't think Angry Birds is as popular as it once was but my three absolutely adore the activity park at Lightwater Valley. 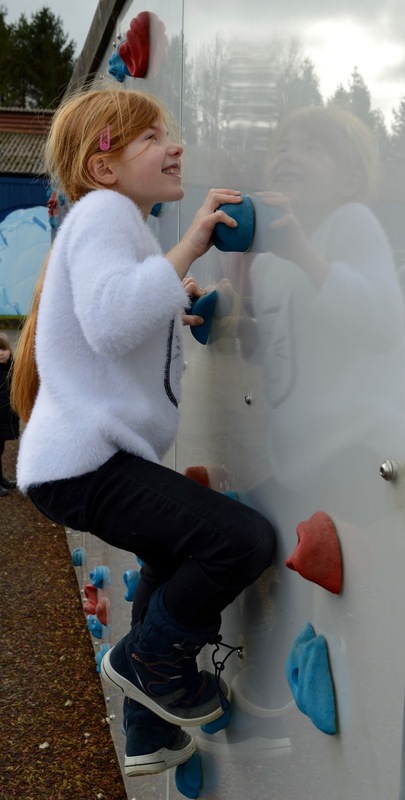 If your children are aged 4-10 years old and enjoy climbing, I think they will too and would definitely recommend a trip. 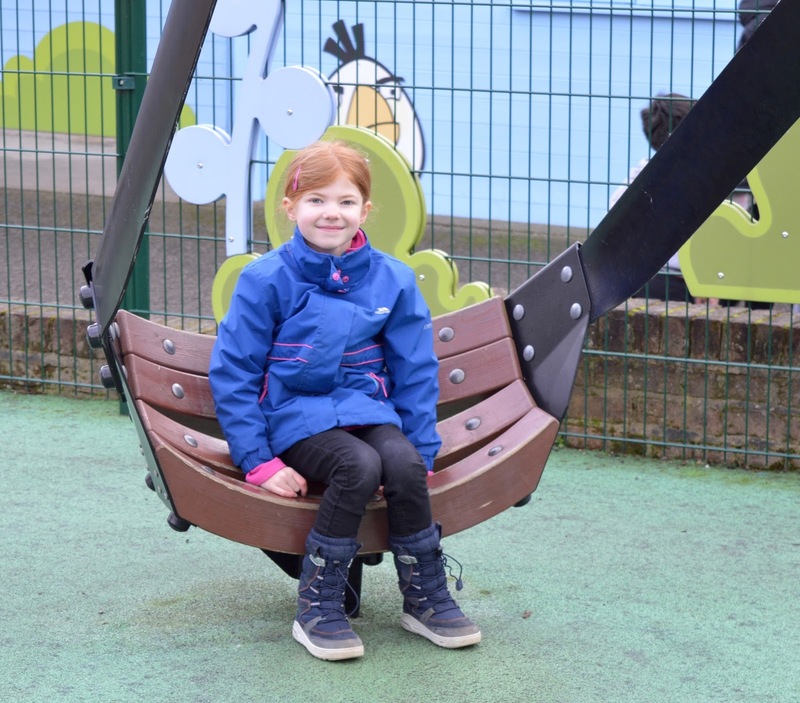 I am linking this post up with Monday Escapes - a fab place to check out lots of family travel inspiration. It's been years since I've been to light water valley. Last time I went I was on the ultimate as it broke down. Every year we keep saying we should go, but at £6 it's a crime not to! Looks like your gang had fun. 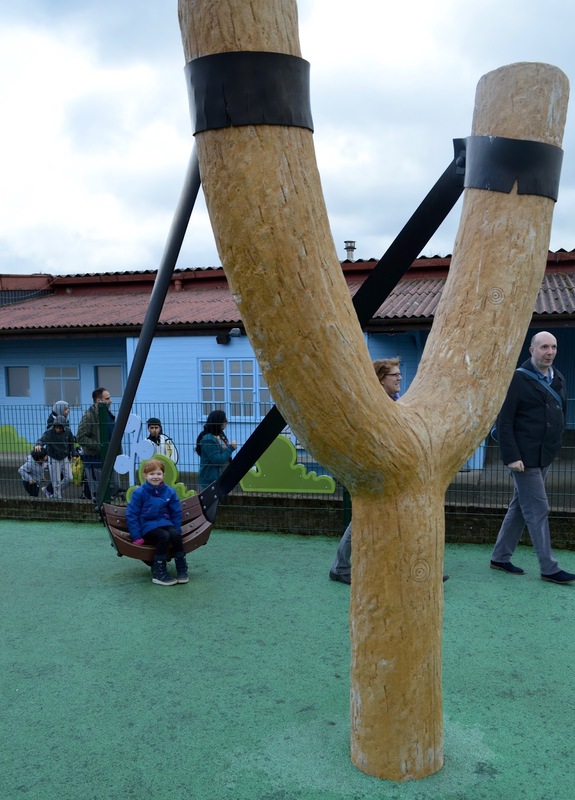 Looks like great fun for the kids! And nice they are at the age you can sit back with a cuppa while they go off! Might try to head down here later on in the season. I've never been to light water valley. I feel a bit like part of my childhood has never been fulfilled :) My son loves Angry birds so I think he'd really love it here!